Recent investigations by the Elephant Action League and WWF have uncovered the complicated trade in fish swim bladders from the Gulf of California that is pushing a porpoise known as the vaquita toward extinction. A two-year-old gillnet ban so far has not yet stemmed the declining numbers of vaquita, which are down 50 percent since 2015 and 90 percent since 2011. Not more than 30 vaquita remain in the wild, making it the most endangered cetacean on the planet. The swim bladders can sell for as much as $20,000 per kilogram. New evidence lays out the intricate trade in animal body parts that conservation groups say are driving two marine species in Mexico’s Gulf of California closer to extinction. The battle to save them will have to be fought on fronts in several countries. The vaquita (Phocoena sinus), a tiny porpoise that averages just 43 kilograms (95 pounds) and 1.5 meters (5 feet), is the world’s most endangered cetacean, a group that includes whales and dolphins. In large measure, that’s because they share their habitat with a fish called the totoaba (Totoaba macdonaldi) in a small slice of the Sea of Cortez between mainland Mexico and the Baja California peninsula. Gillnets intended for totoaba, as well as other fish, efficiently ensnare vaquita. Their numbers have plunged by 90 percent since 2011, according to a recent report by the conservation group WWF. 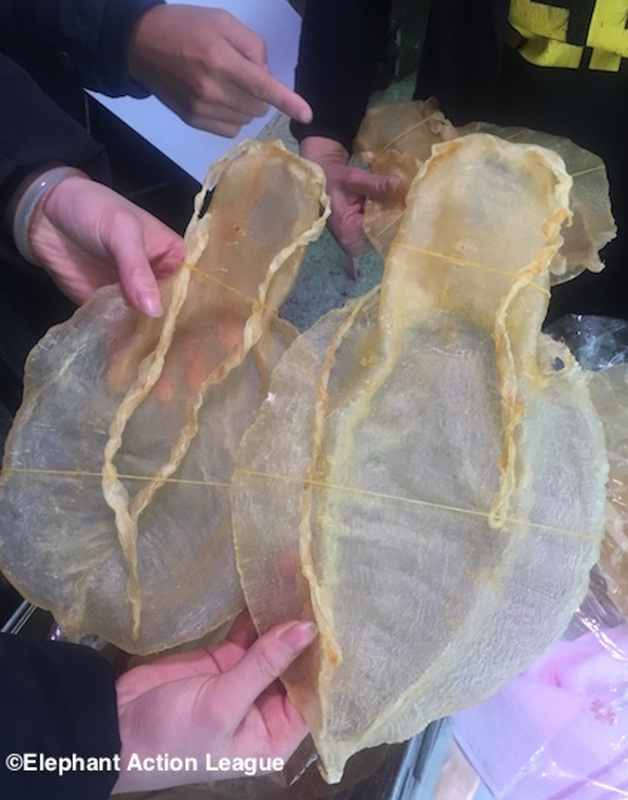 Surging demand in China for the totoaba’s swim bladder, or “maw,” which helps the fish to float, is driving the harvest, sweeping up vaquita in the process, according to the report from WWF and a separate investigation by the watchdog group Elephant Action League. The totoaba itself is a Critically Endangered species according to the IUCN. 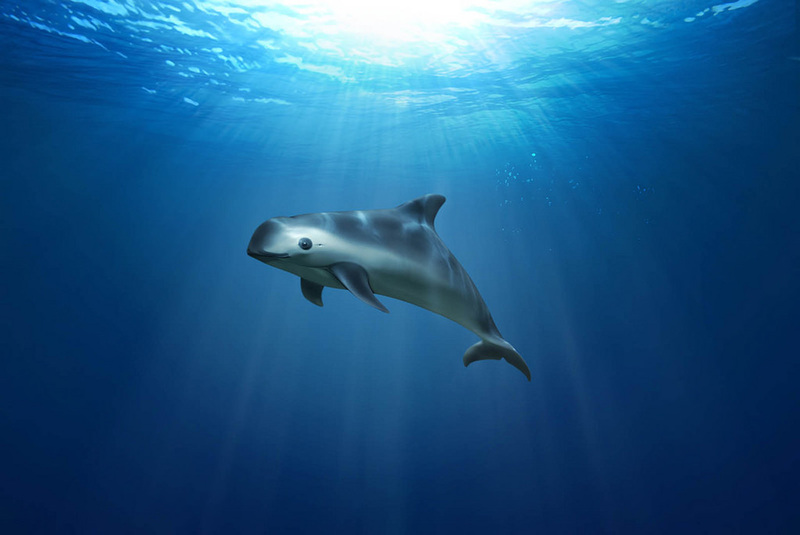 To protect the vaquita, the organizations argue for a multinational effort to stop the flow of totoaba maws out of Mexico and through countries such as the U.S., as well as curbing the demand for them in southeastern China. “Given the dire circumstances surrounding vaquitas and the issues associated with the totoaba swim bladder trade in Mexico, including possible corruption and involvement of drug cartels, it is vital to fully research, investigate, and map all aspects of the totoaba supply chain,” said Andrea Crosta, executive director of the watchdog group Elephant Action League (EAL), in a statement. An acoustic monitoring program by WWF revealed that almost half of all vaquita, which lives only in the Gulf of California, disappeared in the past two years. The Mexican government responded with a temporary gillnet ban in 2015, which it renewed on May 31. But Jorge Rickards, acting CEO of WWF-Mexico, said that Mexico needs to make sure fishers are complying with the ban. Gillnets are set vertically in the water column to trap fish as they swim by. WWF and other organizations have criticized their use, saying that they are indiscriminately destructive, snagging not just the target fish, but anything that swims through one of the nets’ holes and gets stuck. 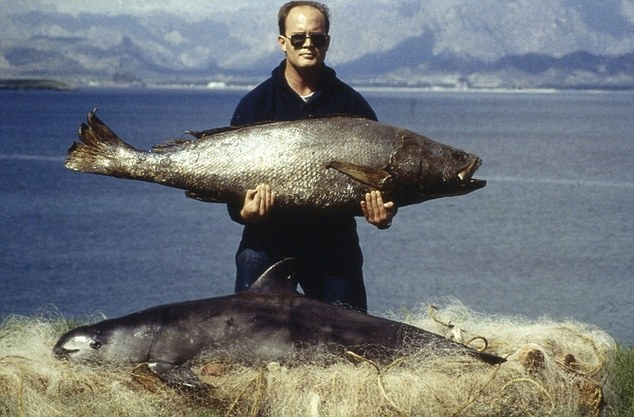 Both EAL and WWF blame this fishing method for the decimation of the vaquita population, which now sits at fewer than 30 individuals. “Mexico must commit to a permanent gillnet ban, and that commitment must be matched by collective action across borders,” said Leigh Henry, a senior policy advisor at WWF-US, in the WWF statement. The reports from EAL and WWF contend that China and the U.S. should shoulder some of the responsibility for facilitating the maw trade. EAL’s investigation indicated that Hong Kong and Taiwan may also serve as waypoints before the maws ultimately end up in the hands of buyers – for more than $20,000 a kilogram (about $9,100 per pound) on average – in China. There, the maws are used in traditional medicine and as gifts in business dealings. EAL’s undercover investigation also revealed that players key to the trade of these body parts may live in the U.S. and Mexico. Despite the fact that maws are illegal in China, the group also found that demand from the southeastern province of Guangdong is “stable,” which is bad news for the remaining vaquita. WWF also called upon the treaty organization CITES – short for Convention on International Trade in Endangered Species of Wild Fauna and Flora – and others to step up their work to hold these countries accountable. FEEDBACK: Use this form to send a message to the author of this post. If you want to post a public comment, you can do that at the bottom of the page. Banner image of totoaba and vaquita by Omar Vidal. 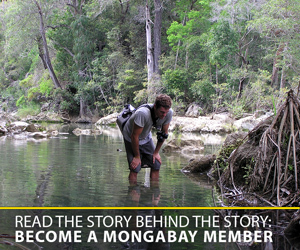 Mongabay is a non-profit that depends on support from readers like you. Donate here. Our biweekly podcast delivering news & inspiration from nature’s frontline. You may republish Mongabay content in your publication at no cost. Mongabay is a U.S.-based non-profit conservation and environmental science news platform. Our EIN or tax ID is 45-3714703.